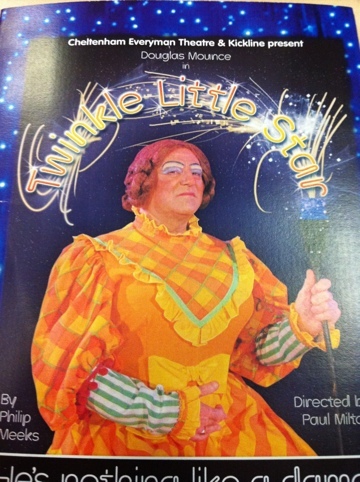 Meanwhile, back at the theatre, Boo and I went to see ‘Twinkle Little Star’. Given that it was the Everyman Studio Theatre, I knew once again it was going to be a small ‘intimate’ production. I really am beginning to like these little shows, as the diversity and originality of the stuff being produced there at the moment is fantastic. I didn’t really know much about this production other than it being a pantomime dame getting ready for ‘her’ performance, and as such I had envisaged that there would be some other parts on the periphery. What we got however, was a real one man show. A magnificent monologue from a true pantomime dame.